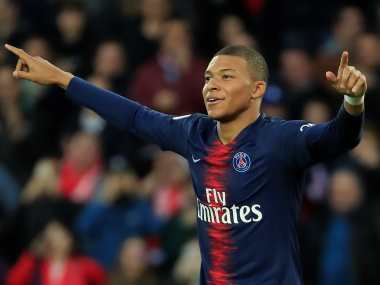 Paris: Kylian Mbappe became on Saturday the youngest ever player to score 50 Ligue 1 goals after striking twice in Paris Saint-Germain's comfortable 3-0 win over Nimes that tightened the champions' grip on the French title. Mbappe scored in the 69th and 89th minutes as runaway league leaders PSG extended their lead on second-placed Lille to 17 points after the northern side's 1-1 draw at Strasbourg on Friday, and snatched the record from Yannick Stopyra, who according to football statistics database Opta was 21 years, 11 months and nine days old when he hit his 50th top-flight goal in 1982. "I work every day to try to help my team as much as possible," Mbappe said to Canal+ after the win. "Football is still fun for me, and scoring goals and breaking records is what drives me so I'm very happy." 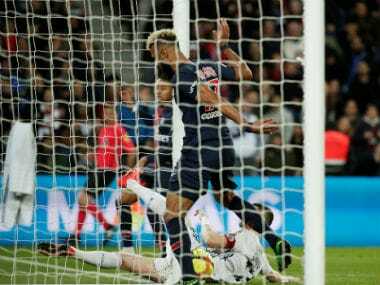 Christopher Nkunku's 40th-minute strike, which came after a beautiful chipped pass from Marco Verratti, got the ball rolling for Thomas Tuchel's side against mid-table Nimes, who had goalkeeper Paul Bernadoni and poor PSG — finishing in particular from Mbappe — to thank for not taking an even heavier beating at the Parc de Princes. 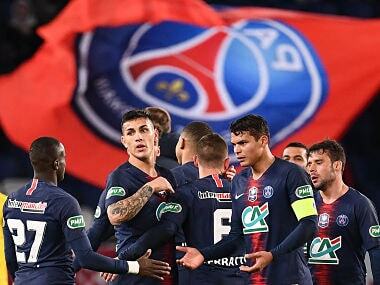 Still missing injured strike partners Edinson Cavani and Neymar, Mbappe should have put the hosts in the lead eight minutes before Nkunku's opener when he somehow hit Bernadoni's outstretched leg instead of the back of the net when put clean through by a sumptuous Verratti pass. World Cup winner Mbappe thought he had sneaked in the second with his hand just before the break, only to be caught punching instead of heading in Thiago Silva's flick-on via the video assistant referee system and booked for his troubles. The 20-year-old appeared on a personal mission to break the record in the second half but, first cutting in from the left and firing just wide eight minutes after the restart before his volley from Marquinhos' chipped past was brilliantly palmed away by Bernadoni. 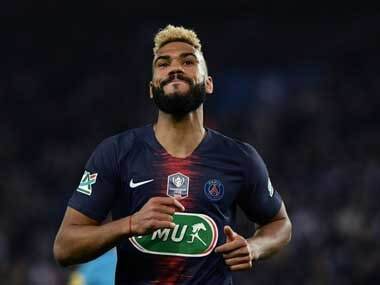 He somehow poked wide on the hour mark after charging onto a low cross from the left before finally making his half-century — and doubling PSG's lead — in almost exactly the same fashion nine minutes later, meeting the surging Juan Bernat's cut back with a neat first-time finish. And the Frenchman made the result even more emphatic when he finished off a lightning break started by Nkunku to take his league tally for the season to 22 and his career total to 51.